Keap, the leading smart client management solution for small, professional services businesses, now offers several new ways for small business owners to sync with the basic tools many are already using, like Gmail, Outlook, and Google Calendar. By seamlessly linking these tools with Keap’s smart client management system, Keap delivers a complete, organized, up-to-date picture of all client communications and activities with instant access to everything you need—client info, emails, notes, tasks, appointments, quotes, and invoices—so you can respond to leads and clients quickly and intelligently every time from anywhere. Any emails sent to your Gmail address by contacts in the Keap app are automatically added and organized with other key information in that contact’s record. This means you’ll get an even more complete, up-to-date picture of your client communications and activities, all within the Keap app. Keap Gmail sync also ensures your emails stay organized and don’t get lost in the sea of emails that is your inbox. You’ll see your messages sooner so you’re better informed and can reply faster to your prospects and clients. 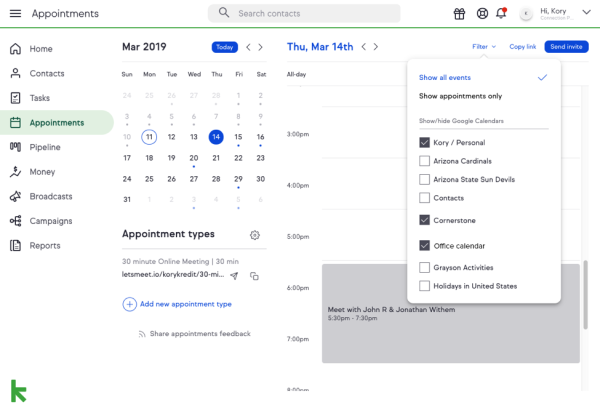 Keap Appointments also syncs with Google Calendar, making it fast and simple for clients to choose from available times on your calendar to meet with you. Send an online link for leads or clients to choose from your available meeting times. No more back-and-forth calls, emails, or text messages and no more double-booking. Stay in sync at all times, even if meetings are added or changed. When you block off certain times in your Google Calendar, they’ll be automatically marked as unavailable for appointments. If your business uses Outlook1 in Office 365, Keap now syncs with your email just like it does for Gmail. 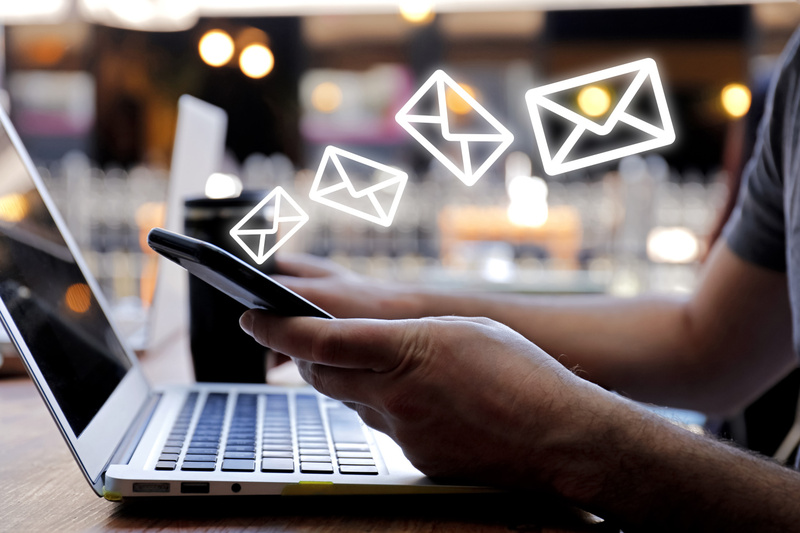 Any emails sent by Keap clients to your Outlook email address are automatically added to Keap and organized with other key information in the contact record. The result is a full, updated picture of your client communications and activities right in Keap—meaning you can respond quickly and intelligently every time. Keap email sync capabilities helps eliminate the constant need to dig through emails for pertinent notes and information and keeps you on track with all your prospect and client correspondence. Now you can focus on the important things, like closing more leads and providing great service, both of which help you grow your business. Check out our Help Center to learn how to enable email sync in your Keap app today, or take a test drive with an interactive demo.